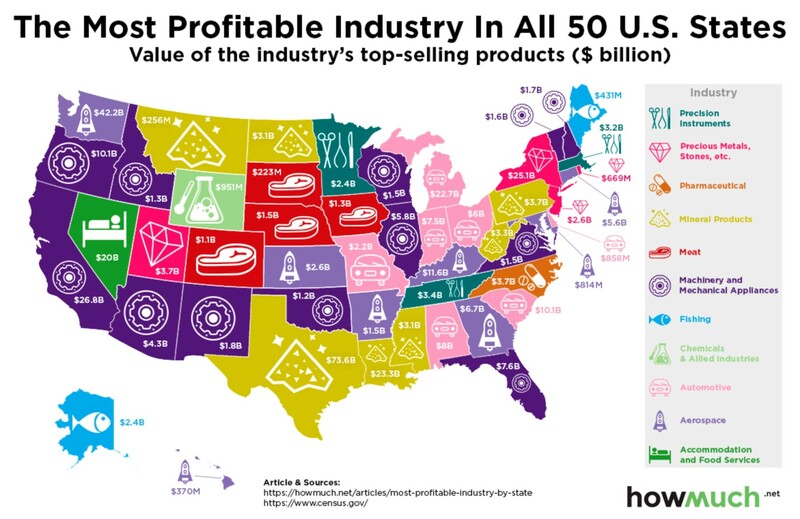 This is kind of fun: based on data compiled by 2017 US Census Bureau data, what is the value of each industry’s products on a per state basis. We can quibble over some of these — jewelry is more profitable than finance in NYS? Machinery over technology in California? But overall, it is an interesting map . . .